A purposefully designed, functional orthotic device created to control and accommodate the ultra-high demand of athletic Activity. Athletic activity, running and jumping create unique demands and loads on the human foot. 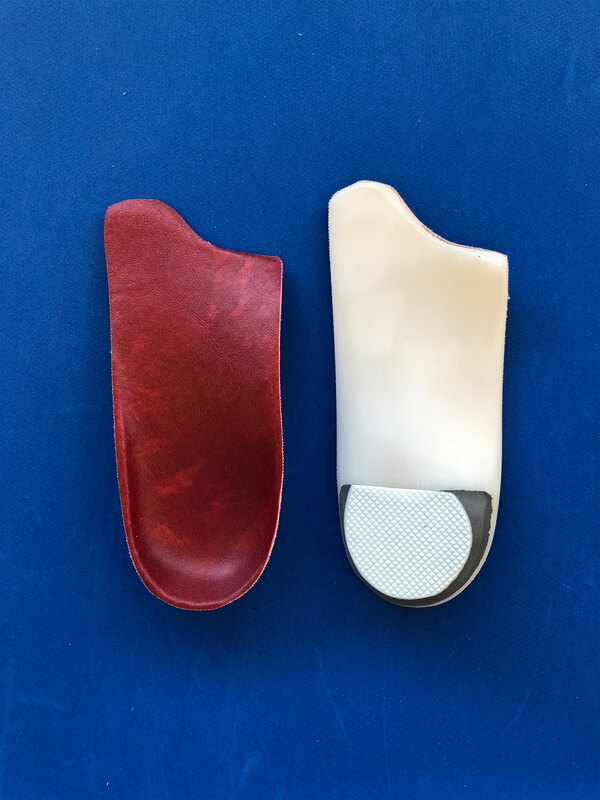 The device is designed and constructed 1:o effectively control foot function, accommodate high load or impact areas and still hold up to the extra demand and highly repetitive forces created by the athlete. Specific modifications and use of alternative materials uniquely handle the increased load and high repetition requirements of long distance running, as well as the high torque, shear and load of activities like tennis and basketball. 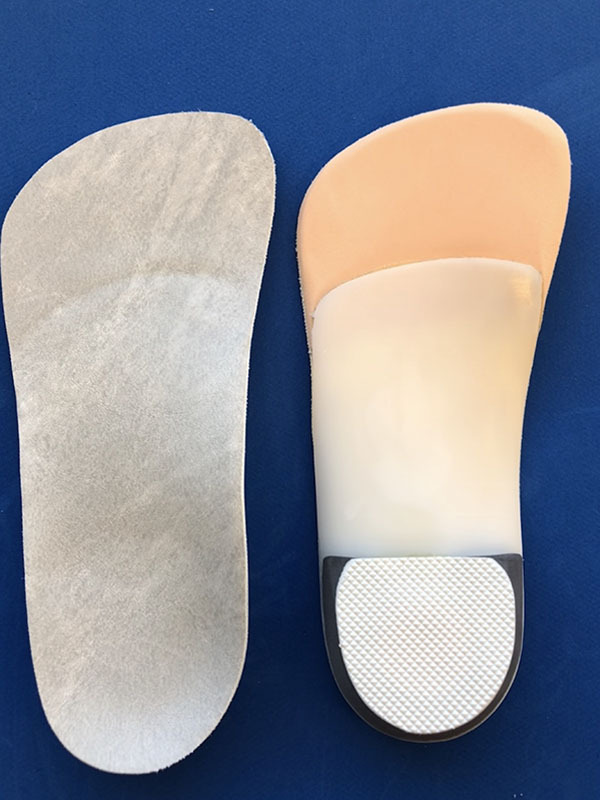 The "biomechanical" design of the device creates a prescription orthotic to individually treat the specific deformity or imbalance of each patient. Intermediate rigidity, more flexible than the “Sport" orthotic while maintaining biomechanical control. 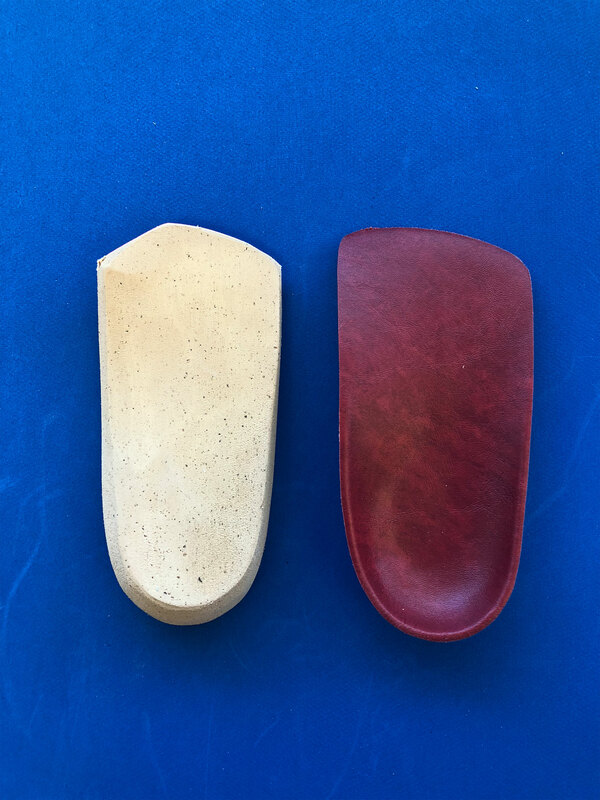 The "Semi-Rigid" orthotic is the alternative for patients who do not require a more "rigid" orthotic device. This device is for the active adult, the casual/social today active. 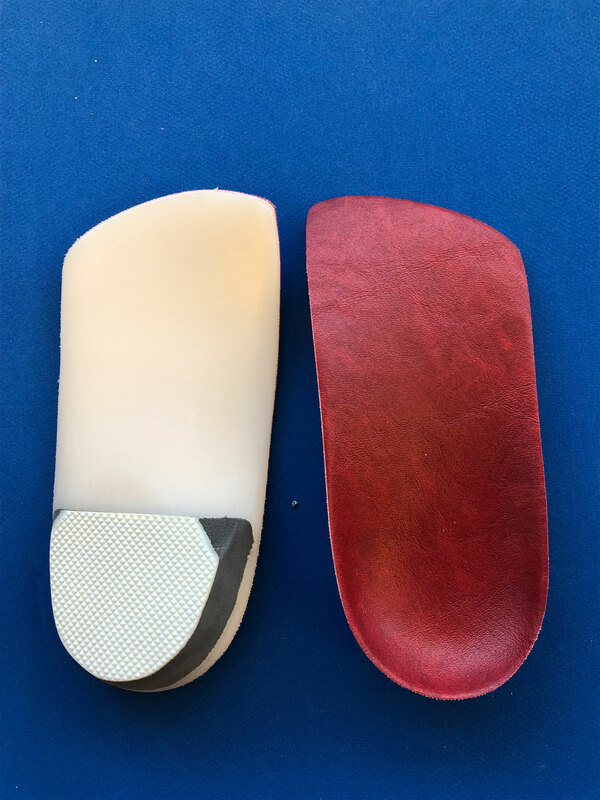 A special "low profile" orthotic designed for use in dress or stylish footgear, which will not accept normal bulk of the standard orthotic device. This device is specifically designed for use in the women and men’s dress shoe. Shoe restrictions require significant modification of the device, which in turn must maintain an effective degree of functional support. This effect is accomplished without elevating the heel of the foot above the confines of the shoe counter. A moderate degree of forefoot or metatarsal accommodation is also provided. 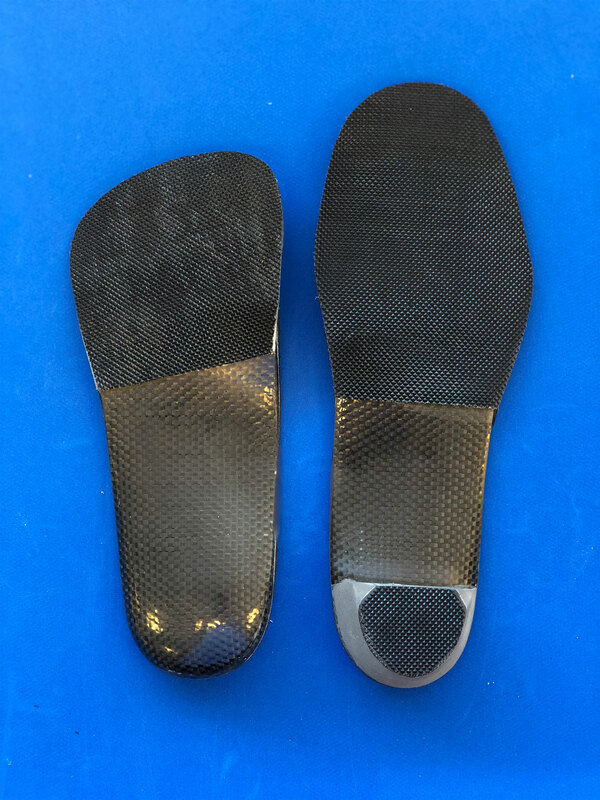 Most flexible orthotic of the total control series, a unique combination of “Soft” biomechanical control and cushioned accommodations, yet still allows for some mechanical control. This device is designed for those individuals who require both the softness of cushioning and accommodation and the supportive effects of a moderate degree of biomechanical control. The active diabetic, rheumatoid or geriatric patient with a mild to moderate deformity or need of accommodation is the ideal patient for this device. The degree of deformity should not be so severe that it can precipitate skin breakdown or other pathology with this accommodated control. 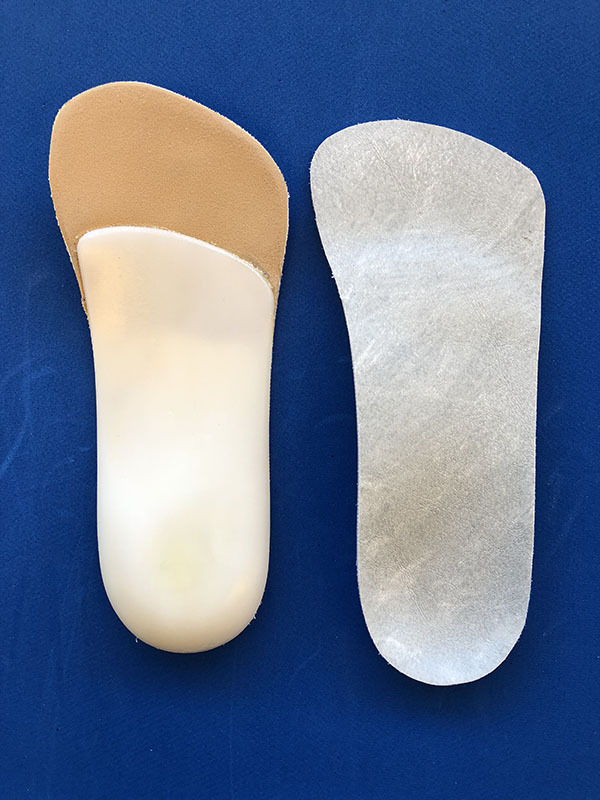 The “Supreme” Shock Orthotic is a functional device and is intended for added support and protection of the active patient with mild to moderate degree of deformity or disability. Athletic activity, running, jumping, stop and go activity. This device is designed and constructed to reduce the weight and impact on the human foot. This device is designed with a more functional comfort control support, needed for a higher demand of athletic activity. A soft , flexible, shock absorbent supportive device. Biomechanical-like control for the patient who is not able to tolerate the more rigid materials. Patients requiring accommodative support with minimum control and maximum comfort. This device has been developed to help with "Problem Patients". 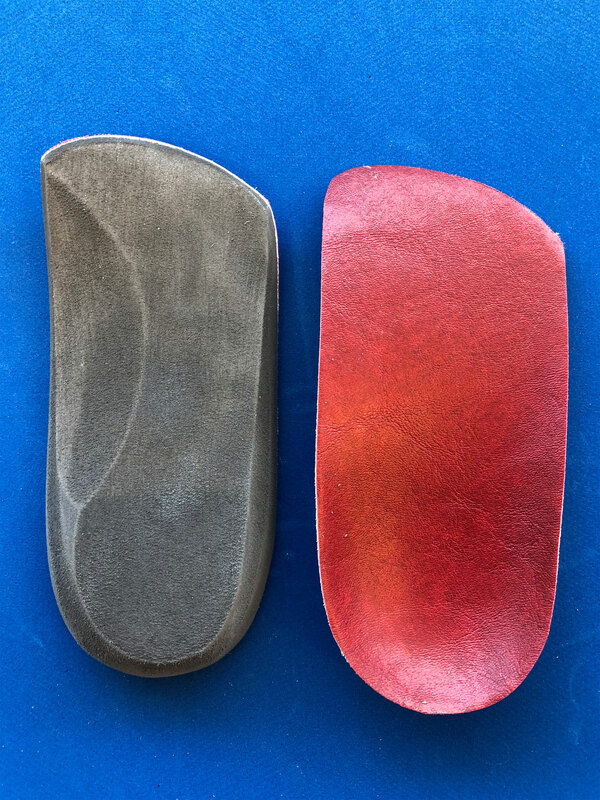 A light weight, compressible, and pressure moldable orthotic. Utilized most effectively for protection of soft tissue lesion on the plantar surface of the foot. Patients requiring no bio-mechanical control such as a diabetic and arthritic patient. This device is designed for the protection o fragile soft tissue in the pressure sensitive, highly debilitated patient. This device is designed with more cushion and control providing an outstanding comfort. This device is designed with comfort in mind, allowing for everyday use and the right choice for exercising such as aerobics and walking. A lightweight flexible shock absorbent supportive device. Bio-mechanical like control for the patient who is not able to tolerate the more rigid materials. 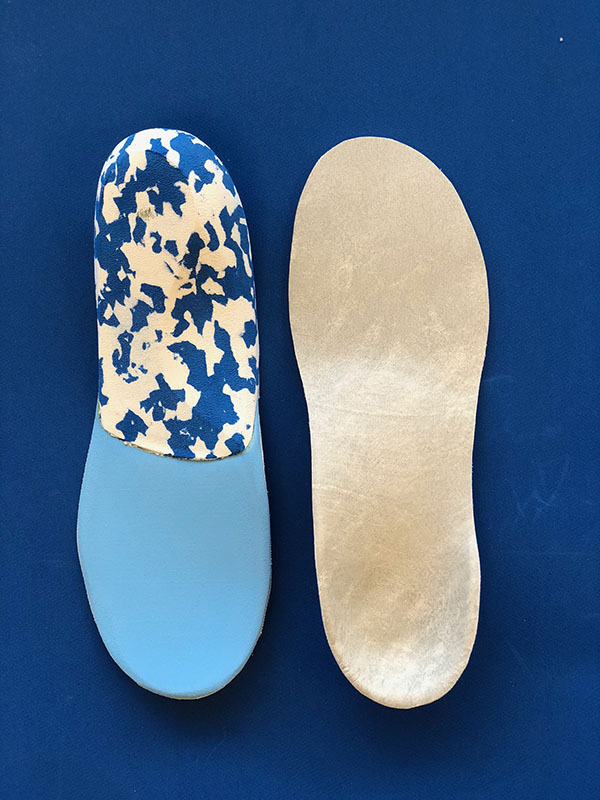 The child's orthotic device, the Modified Whitman-lateral Gait Plate and the Shaffer Plate provide maximum bio-mechanical control for the pediatric patient (recommended for ages 3-10). Shaffer Plate-high medial flange, Modified Whitman-lateral heel clip, high medial flange, Gait Plate-rigid extension under the 4th and 5th Metatarsal heads to reduce in-toeing or Beneath the 1st metatarsal head to reduce out-toeing. 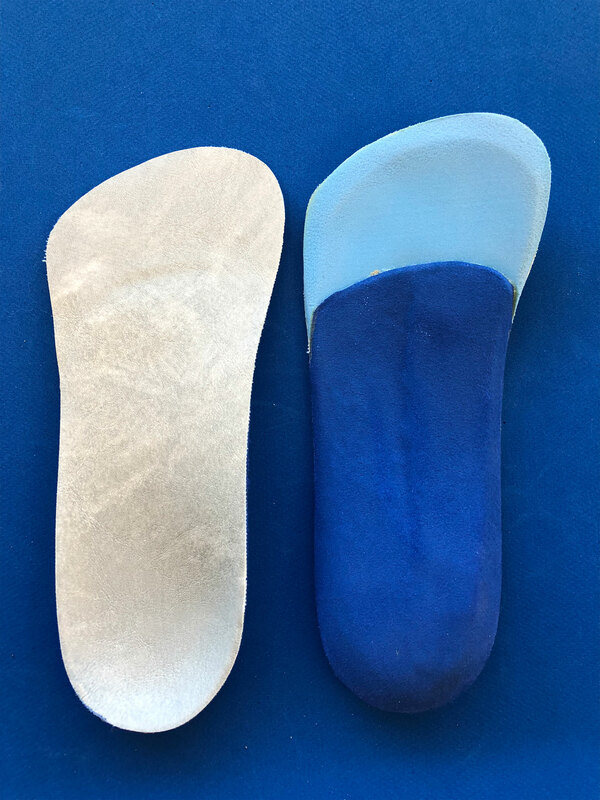 The pediatric orthotic devices redesigned for unique patient, and accordingly have very different functional requirements from the standard orthotic devices. The desired effect of these bio-mechanical braces are to support and maintain a more normal architectural alignment of the bones of the foot as the child grows and matures. 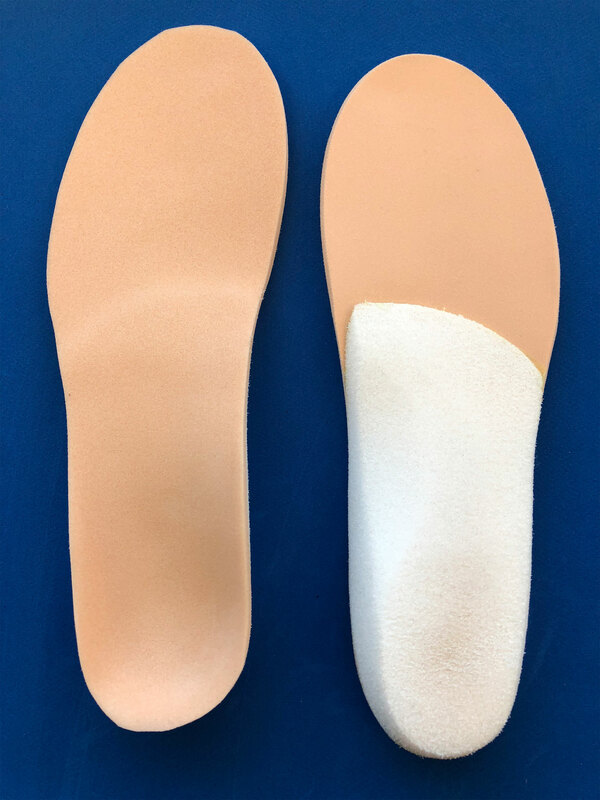 Slim fit orthotic for dress shoes. 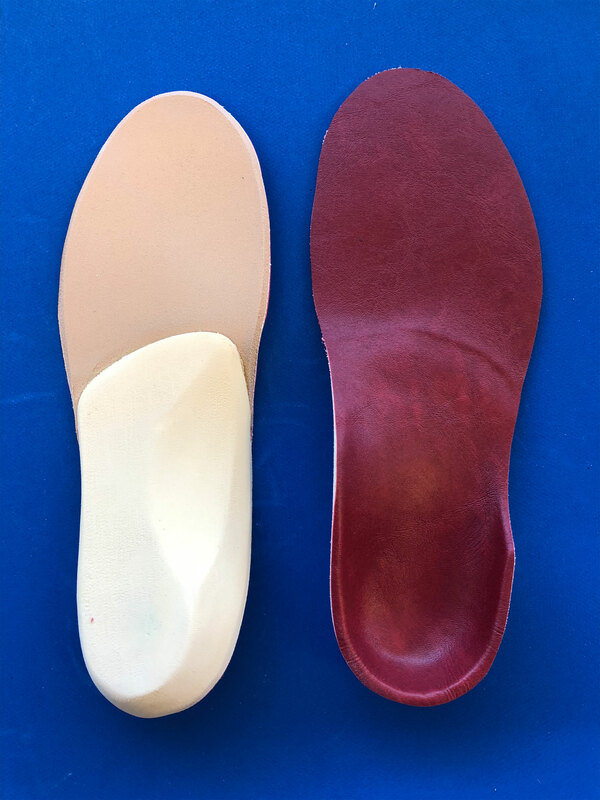 Personal Use: We offer a pair of orthotics for personal use to apply practitioner free of charge. Immediate Family & Staff Members: We extend a 25% professional courtesy for orthotics ordered for the practitioner's immediate family and staff members. All TOTAL CONTROL Orthotic shells carry lifetime guarantee against breaking, cracking or splitting. All TOTAL CONTROL Orthotics carry a 30 day unconditional guarantee of satisfaction. 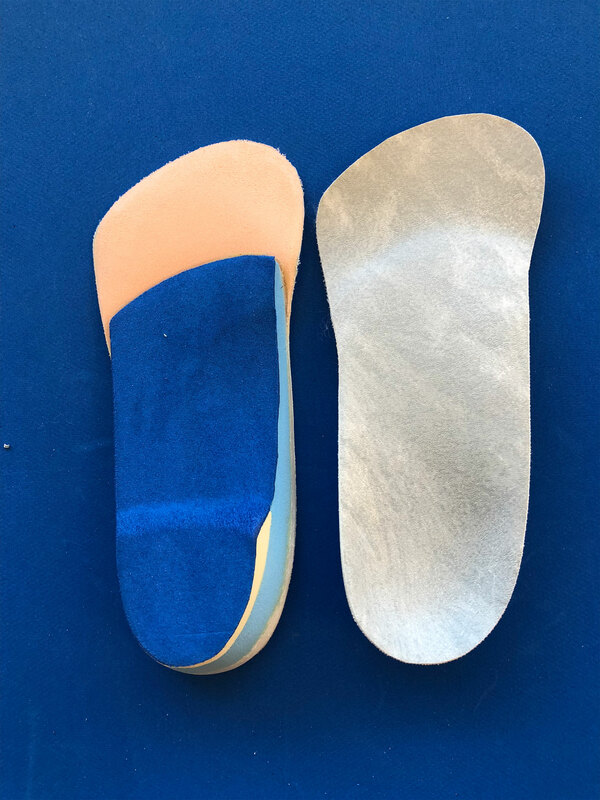 If for any reason, the customer is not totally satisfied with the orthotic , a 100% credit will be issued (with return of incorrect orthotics) or the orthotic will be charged. Non TOTAL CONTROL Orthotic Refurbishment will be charged a $30.00 fee. With the first order, Credit Accounts will be established for all qualified and licensed practitioners, companies and institutions. An invoice will be sent with each order and statements are mailed at month end.